The Voyager 5200 can be charged on-the-go simply by connecting it to its portable charging case, which uses indicator lights to show you its charging progress. When charging is complete and the headset is worn, a computerized voice indicator will also notify you that the device is ready to go. To pair the Voyager 5200 headset with your phone, insert the USB bluetooth adapter into your computer, navigate to your computer's bluetooth settings and select "PLT V5200 Series". The voice indicator will notify you when the connection is successful. To re-pair the headset to your computer when you hear "connection lost," hold the pairing button on the side of the headset and wait until you hear the "pairing" voice prompt. Then, press the small reset button located on the USB adapter until you hear "pairing successful". To ignore a call, say "Ignore"
To end a call, say "Goodbye"
Smart sensors allow you to answer a call or transfer an active call from your phone simply by putting the headset on. Conversely, taking the headset off will transfer a call back to your smartphone and also lock the call button or pause media. To activate the device's virtual personal assistant (VPA) feature, press and hold the red button on the inside base of the microphone stem until you hear your smartphone VPA. To adjust the volume, press the volume up or down buttons located at the top of the headset. To pause or restart media, press and hold the button located at the base of the microphone stem on the outside of the headset for two seconds. When you're finished with a call and heading out, place the headset comfortably into the portable charging case, and you're good to go! The Voyager 5200 UC, brought to you by Plantronics. Check out the video for a thorough demonstration of using the Plantronics Voyager 5200 UC Bluetooth Headset, an enterprise-worthy wireless call solution that employs a range of button- and voice-activated controls! 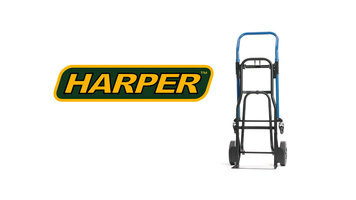 Discover why the Harper quick change hand truck is perfect for all your home, work, or office moving needs. 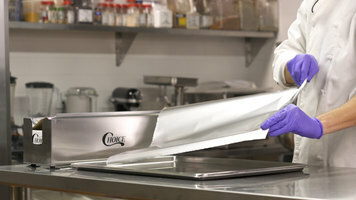 For ultimate convenience in the kitchen, check out the Choice film and foil dispenser! This stainless steel unit cuts both film and foil for excellent versatility and provides flexibility with suction cup feet and a wall-mounting option. Watch this video to find out more! Maintain portion sizes at your economical business with this 32 oz. manual portion scale. 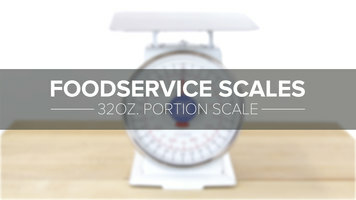 Learn about this scale's features, including an easy-to-clean material, large dial, and broad platform.